Few Months ago. After seeing so many SRW PS2 games. 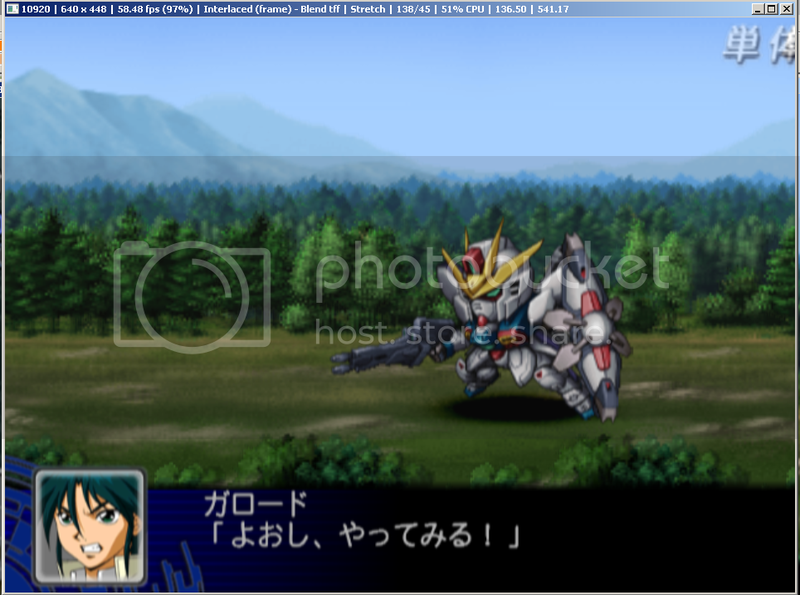 I said "you know what, i got to get myself a pcsx2 and play some srw!" It took a lot of hardwork to get the iso's, and the good pcsx2. I finally got a good one. I have Super Robot Taisen Z, and Super Robot Taisen Alpha 3. -Menus go around 50-60 fps. Which is a good sign. 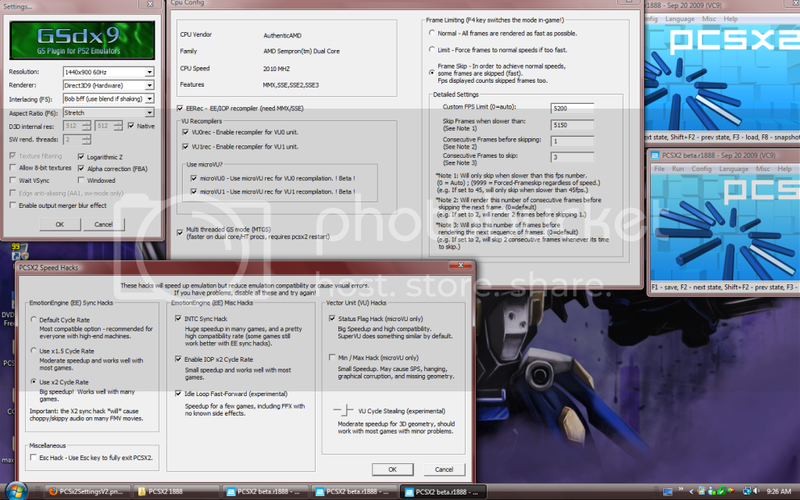 -Animation Battle stays at around 60--59 fps. Sometimes 49 but it doesnt bother me. -Problem:The Map goes to about 39fps. 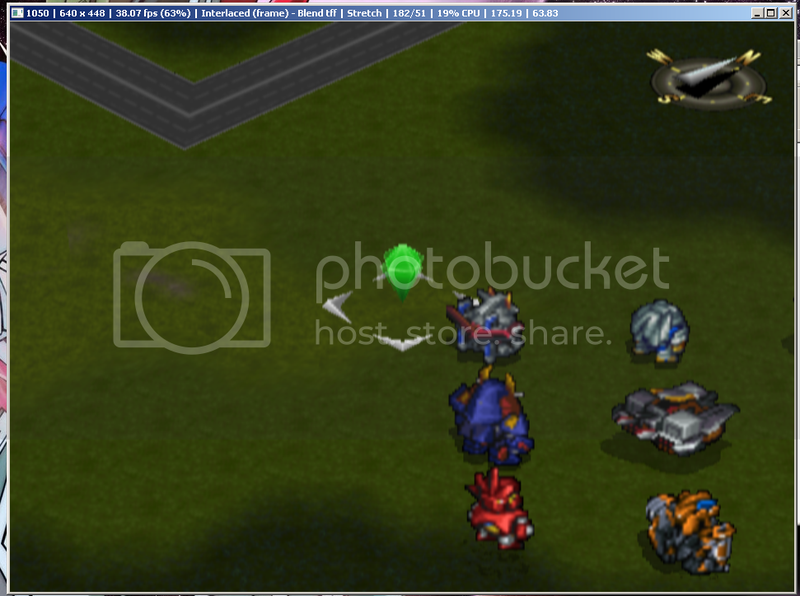 Now when you're playing Super Robot Wars, you're mostly on a map most of the time strategizing your your way to victory. And playing that with low speed is irritating. Thats the ONLY problem i have with the whole game is the Map fps decreasing like a b*tch. 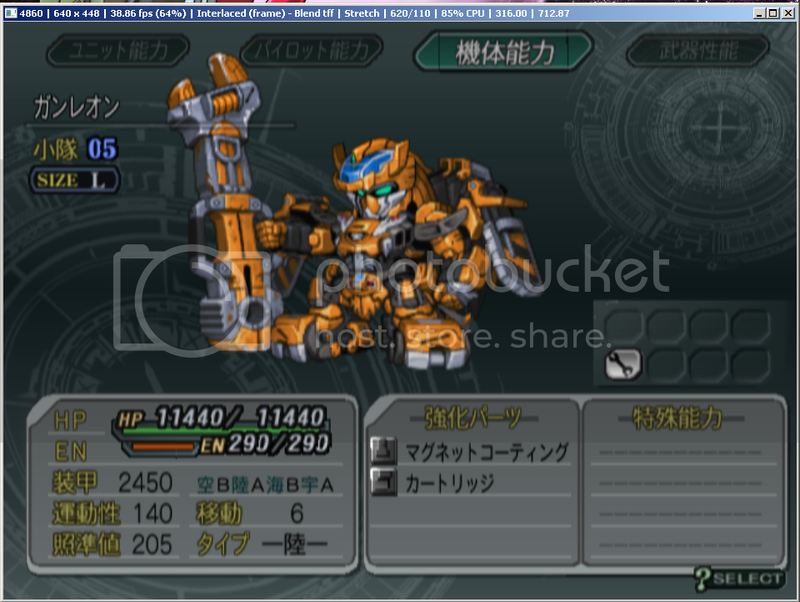 Alpha 3 has no problem and is pretty much the only srw game that will play pretty good and faster on pcsx2. All i need is just how to increase some speed with the map in srwz. And yes, it is a 3d map. I dont need links. Just help. Thats all. I just want help. Im sorry if ive done anything wrong. But just help somebody out eh? Thank you very much for the help. 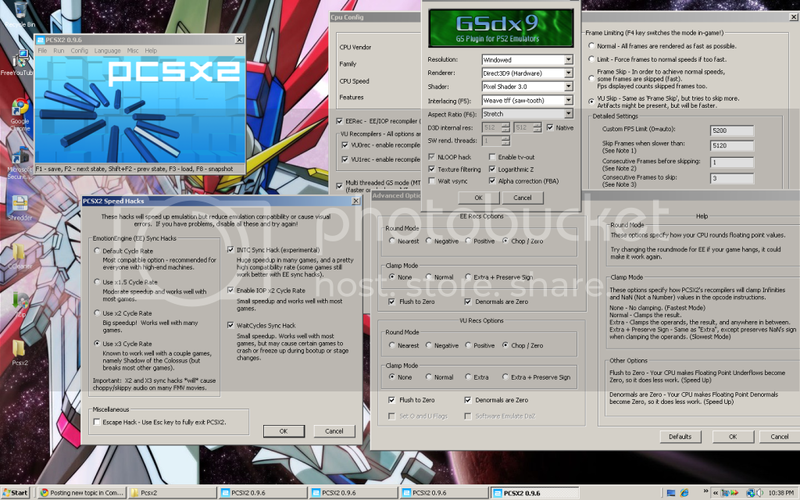 try latest pcsx2 beta an don't push all speedhacks to max. Does Pcsx2 beta r1888 count? I also have that. Although its kinda the same as the 0.9.6 one and VU Hack 3d geometry is on the highest. try use the VU cycle stealing to moderate in beta r1888. And its very pleased to meet you tallbender. Your SRWZ pcsx2 vids inspired me to try my best to get one also. for the pic, is there anything i need to change maybe? Hey man. Thanks! Although i understand that Some Maps will go slow and some fast. Thnks a lot. Its at max speed now. Thankyou!!! Although....it wouldn't hurt to help a brother out with also OG Gaiden, since animation goes sorta slow. And im having a sort of graphics problem with alpha 3.But mainly Og Gaiden. As i try to make it the same settings as srwz. But the screen blinks a lot. OG series is more worst than Z series...i got some slowdowns in OG series..
be warned some CG movies can crush the game when using too much speed hacks. Lol. Alpha graphics are good from out of nowhere. However the OG Giaden screen still blinks,although speed is good. Must be the fps i set up, since they are the same as srwz's. They may need some experimenting on both. As Alpha 3 graphics are good, speed and menu and cutscenes are good. Although maps go around 38fps. as OG Gaiden is the same. Just blinking screen is irritating. I also noticed that the animation scene bg looks like cartoon and not drawn well. I heard you had to disable Texture filtering. Using 0.9.6 Used some speed ups. and og gaiden is good. i can ignore the animation bg i guess. Alpha 3 is good. just battle animation goes slow and fast a lot. like one second its 80fps then drops to 45fps.